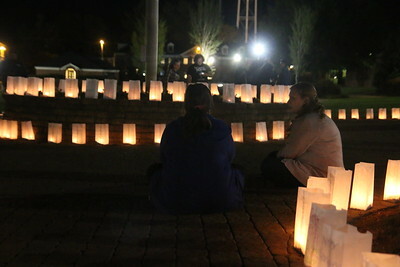 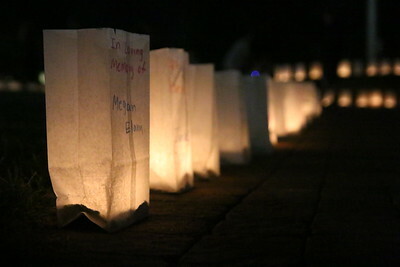 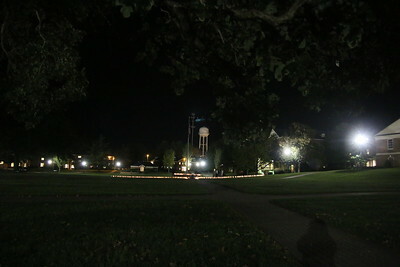 On Wednesday evening, October 14th, a Candlelight Vigil was held honoring over 400 students in the North Carolina area (2 known by students at Gardner-Webb) that have died in an accident involving drunk driving. 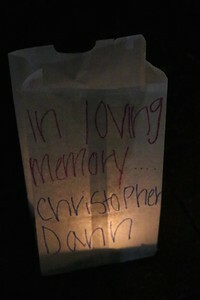 Luminary in honor of Christopher Dann. 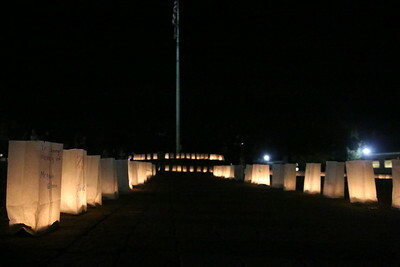 Luminary dedicated to Megan Elam. 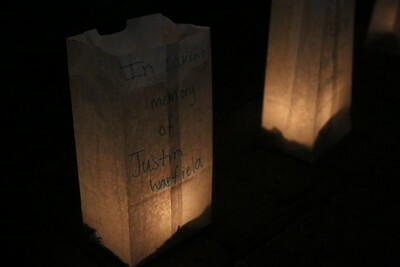 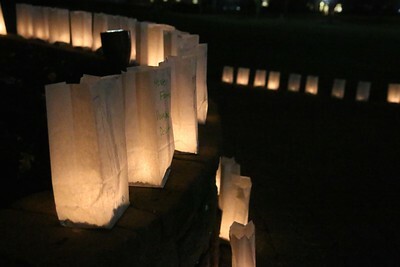 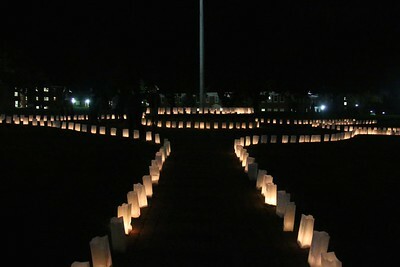 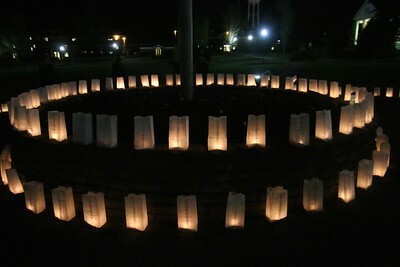 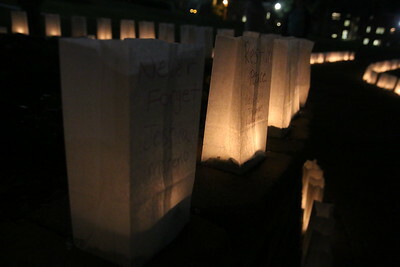 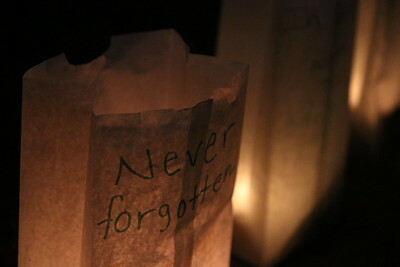 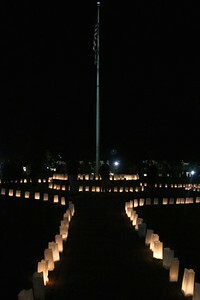 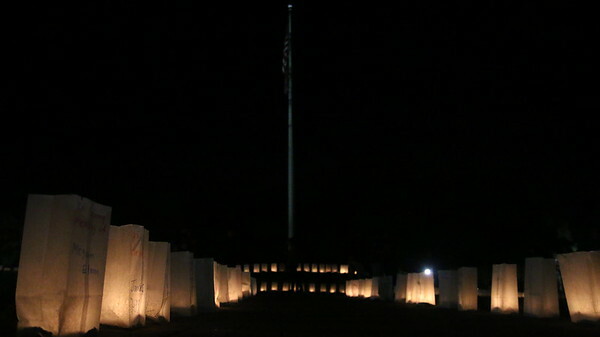 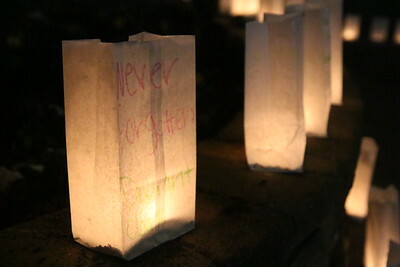 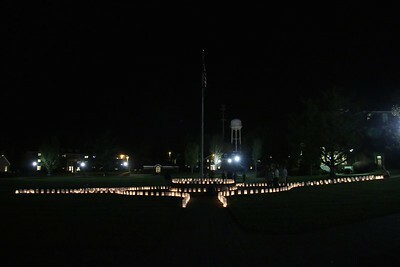 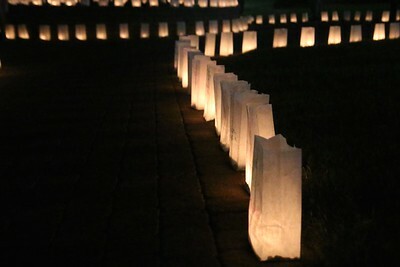 Luminary in memory of Justin Warfield. 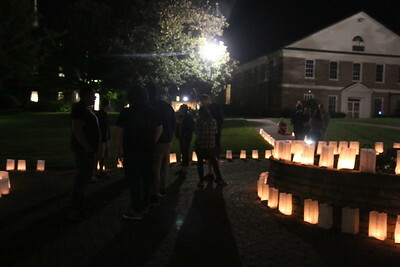 Students paying their respects to those who lost their lives from drunk driving incidents. 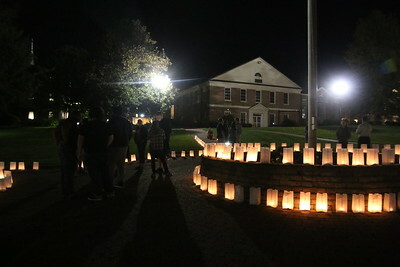 Students honoring those who lost their lives.